On April 26, 1972 the Minnesota Vikings traded discontented QB Gary Cuozzo to the St. Louis Cardinals for WR John Gilliam and two draft choices, which were second and fourth picks for 1973. The 31-year-old Cuozzo had played out his option and was due to become a free agent on May 1 and had demanded a trade. After being the primary starter in 1970, he had split time with Norm Snead, who was obtained from Philadelphia with the hope that he might supplant Cuozzo, and Bob Lee in ’71. 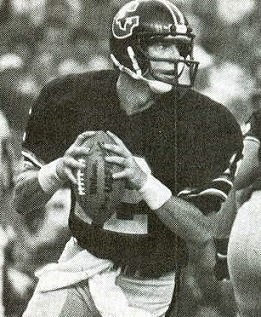 While Snead was traded to the Giants three months earlier, it was as part of the deal that brought QB Fran Tarkenton back to Minnesota – a clear indication that Cuozzo was not part of the team’s plans. 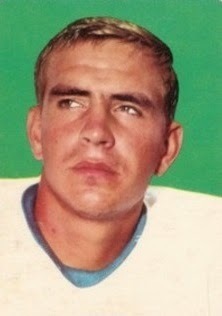 Undrafted out of Virginia in 1963, Cuozzo had originally been a backup to Johnny Unitas for four seasons with the Colts. While he didn’t see much action, he had a five-touchdown passing performance against the Vikings in 1965 that drew a great deal of favorable attention and the New Orleans Saints traded a first-round draft pick for him in ’67. Cuozzo was unable to hold onto the starting job with the first-year team and was dealt to Minnesota the following year, this time for two first-round picks. He couldn’t unseat starting QB Joe Kapp, finally taking over when the fiery Kapp left the club after the 1969 season. Smart (he was Phi Beta Kappa in college) and an accurate passer, he lacked arm strength and was not nearly the leader that his predecessor in Minnesota was. Overall with the Vikings, Cuozzo completed 49.6 percent of his passes for 3552 yards and 18 touchdowns, giving up 23 interceptions. And while the club was 16-5 during his regular season starts, it had not been able to win in the postseason. Head Coach Bob Hollway of the Cardinals indicated that Cuozzo would be the starting quarterback, ahead of Jim Hart and Pete Beathard, who both had trouble with consistency. St. Louis was coming off of a 4-9-1 record in 1971, which marked a big drop from the previous year, and quarterback was an area of concern. John Gilliam (pictured at top) was 26 and was a teammate of Cuozzo’s with the Saints in 1967, who had drafted him in the second round. He scored the first regular season touchdown in franchise history on the opening kickoff of the ’67 season, but the remainder of his tenure with the club was unremarkable and he was obtained by the Cards in 1969. With his great speed in a better offense, he broke out in St. Louis, catching 52 passes for 997 yards (19.2 avg.) and nine TDs in his first year with the club. Gilliam followed up with 45 receptions for 952 yards (21.1 avg.) and five touchdowns in ’70 and was coming off of a 1971 season with 42 catches for 837 yards (19.9 avg.). He led the team in receiving yards in each of his three seasons and in receptions in the last two. 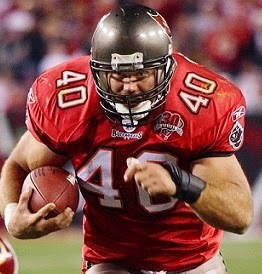 With WR Bob Grim having been traded to the Giants along with Snead, a spot was open in the Minnesota lineup for Gilliam. Cuozzo (pictured above) proved to not be the answer in St. Louis. He started six games, only one of which resulted in a win for the Cards, while splitting time with Hart and unheralded Tim Van Galder (Pete Beathard was traded to the Rams during the preseason). He completed just 43.7 percent of his passes for 897 yards and five touchdowns while giving up 11 interceptions. It marked the end of the line for his pro career as he retired to practice dentistry. Gilliam had much more success in Minnesota. He caught 47 passes for 1035 yards (22.0 avg.) 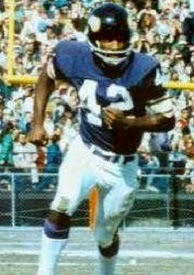 and seven touchdowns and earned the first of four straight Pro Bowl selections, matching his number of seasons with the Vikings (he jumped to the Chicago Winds of the WFL in 1975, but when the team folded at the end of August after five games he returned to Minnesota in time for the regular season). He had a total of 165 catches for 3297 yards (20.0 avg.) and 27 TDs for the Vikings and added another 14 receptions for 261 yards (18.6 avg.) and five scores in the postseason. Gilliam moved on to the Atlanta Falcons in ’76, where his production dropped off significantly in his next-to-last year. 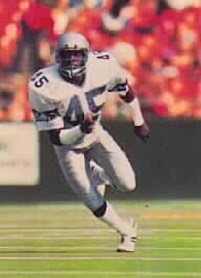 The 1973 second round draft choice that Minnesota also obtained was used to take Jackie Wallace, a defensive back from Arizona, while the fourth round pick was passed on to Kansas City (who used it to take Emporia State DE John Lohmeyer). 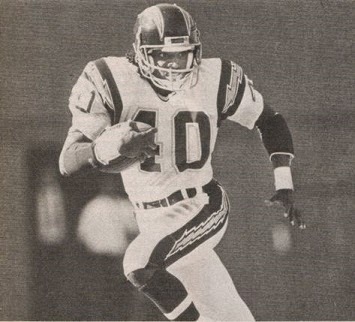 Wallace started at cornerback in place of the injured Bobby Bryant and also returned kicks before moving on to the Colts, who shifted him to safety for two years, and eventually the Rams, where he led the league with 52 punt returns for 618 yards in 1978. Baker was a quarterback and defensive back in college on teams coached by Bud Wilkinson that went a combined 30-2 from 1956 to ’58. He led the Sooners in passing in 1957 and had a 94-yard interception return in the Orange Bowl following that season. 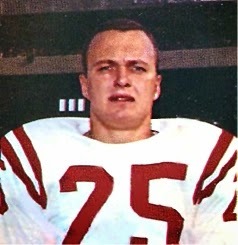 Baker was chosen by the 49ers in the first round of the 1959 NFL draft (fifth overall) and he moved directly into the defensive backfield, combining with another rookie, Eddie Dove, to provide an effective safety tandem. He intercepted five passes and was named to the Pro Bowl. 49ers went 7-5 to finish second in the NFL Western Conference (tied with the Detroit Lions) while leading the league in fewest points allowed (205). Baker intercepted another six passes and was a first-team All-NFL selection by The Sporting News in 1961. He then served two years in the military but, rather than return to the NFL, accepted an offer to become athletic director and men’s basketball coach at Bethany Nazarene College (now Southern Nazarene University). Overall, in a short but outstanding career, Baker intercepted 21 passes in just three seasons with the 49ers, gaining first- or second-team All-NFL honors after two of them and one Pro Bowl selection. To date, he shares the NFL record with his four-interception game against the Rams and the 10 interceptions in 1960 are still the franchise record for the 49ers (tied by Ronnie Lott in 1986). An outstanding cover cornerback in college, Allen intercepted a total of 15 passes and was an All-Pac 10 selection in 1987. Having caught the eye of Philadelphia’s Head Coach Buddy Ryan, the Eagles traded up nine spots in the second round to draft him in ’88 and he moved directly into the starting lineup as a rookie. Allen intercepted five passes for a team that ranked second in the NFL with 32. Eagles went 11-5 to finish second in the NFC East and qualify for the playoffs as a Wild Card entry while leading the NFL in interceptions (30) and placing second in sacks (62). Lost NFC Wild Card playoff to Los Angeles Rams (21-7). Allen spent another five seasons with the Eagles, and was selected to the Pro Bowl after four of them. 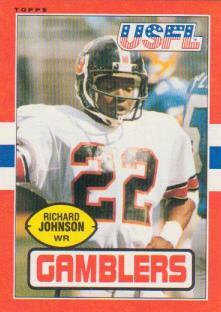 He was part of a defensive unit in 1991 that was best overall and against the run and the pass individually. In ’93 he intercepted six passes and returned them for a league-leading 201 yards and four touchdowns, which highlighted his ability to make big plays as well as provide excellent coverage. He followed the exodus of defensive stars out of Philadelphia, signing with New Orleans as a free agent in 1995 and achieving one last Pro Bowl selection. With his skills declining, he got by on savvy and played two more years with the Saints before moving on to the Oakland Raiders in 1998. 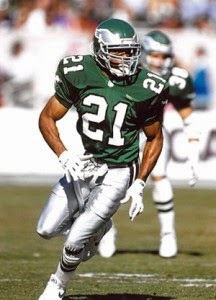 Allen missed time with a knee injury but also had six interceptions in 2000, returning three of them for touchdowns. He retired following the 2001 season, having intercepted 54 passes that he returned for 826 yards and 8 TDs. 34 of those pickoffs, for 482 yards and 5 scores, came with the Eagles, making him one of the franchise’s career co-leaders in interceptions. 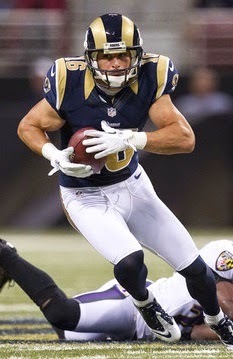 Allen received consensus first-team All-NFL honors once and was an All-NFC choice on two other occasions, achieving selection to the Pro Bowl six times.